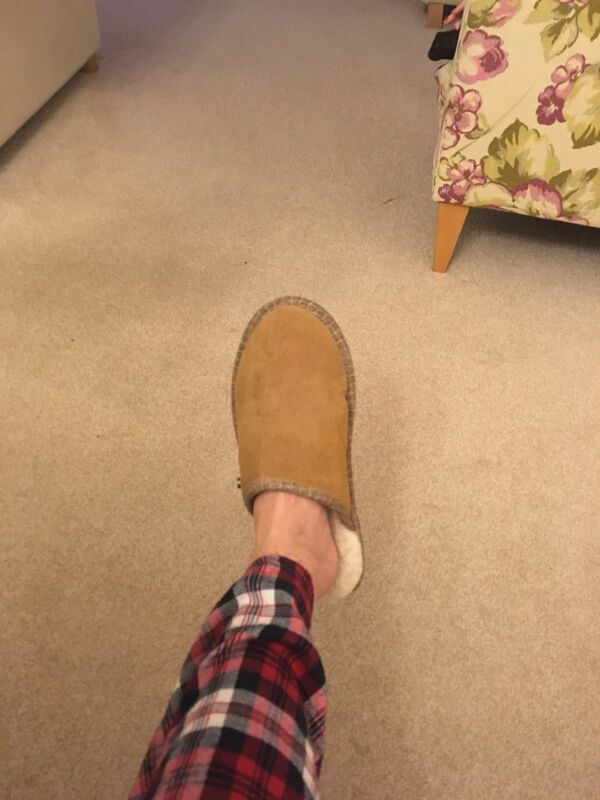 Ewan is our premium sheepskin-lined slipper. A luxurious slip-on for those cold winter nights, perfect for lounging around the house. The premium suede upper is home to a 100% Australian sheepskin lining. Final details include the Goodwin Smith woven sock label and metal studs to the top. Durable, anti-slip rubber sole. Being comfy and stylish has never been so easy. Available in Tan, Brown and Navy. 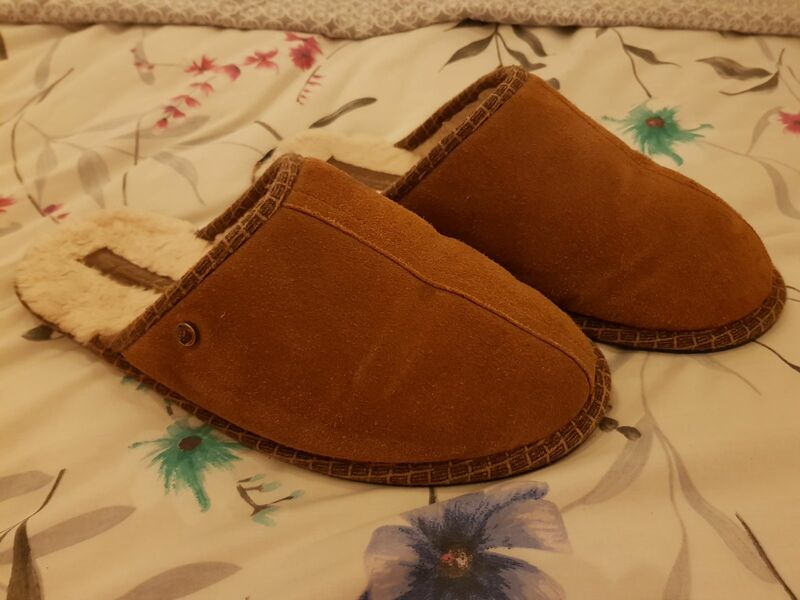 The lining and sock used on these slippers is 100% premium grade A sheepskin from the leading sheepskin tannery and their sheepskin is imported ethically from Australia. Our luxurious Grade-A sheepskin is extremely dense with a super soft handle, which provides for a more comfortable and durable material. A lower quality material or synthetic mix can be coarse, scratchy, and non-breathable. Grade-A sheepskin breathes naturally, wicks away moisture, and promotes the easy circulation of air therefore regulating temperature and keeping your feet dry. Fleece breathes, wicks moisture away, and allows air to circulate, keeping feet dry. Sheepskin is naturally thermostatic thus keeping bare feet close to your natural body temperature regardless of the temperature outside. The sheepskin is treated and dyed with no additive materials leading to a 100% premium quality sheepskin product. Sheepskin is a natural wonder product able to withhold heat keeping you warm when needed. This shoe features the most careful selection of the best cow suede skins available. The premium quality suede has been hand treated with a wax to create a rustic pre-worn look. To add long lasting appeal, the suede is also treated with a water-resistant finish to keep feet dry and prevent staining through winter. Perfect fit, quality and comfort! Lovely and warm, great looking and comfortable slipper. My 4th GS purchase and another in a line of products I'd recommend. High quality at a great price, looks and feels great. Nicest slippers I have ever owned - without doubt! Thanks for the feedback Rob, we really appreciate it! Very comfortable, warm and look good to! Would recommend and definitely think about getting another pair in the future.